One of the things which I regularly hear about breastfeeding is how it ties you down. There’s no denying that it does tie you to your child physically, but as childbirth has already irrevocably tied you to your child mentally, that’s a bit of an irrelevance (how many formula feeding mums do you actually know – as in met, had a cup of tea with, didn’t see in the Daily Mail… who are ok with handing a stranger a bottle and heading out to work/ the pub?). After you’ve finally mastered the mysterious latch and your newborn gets the hang of things, you’ll soon find that the process which needed at least 2 pairs of hands and someone else to serve refreshments is so second nature that you can breastfeed onehanded, and may even need some additional entertainment. So I conferred with the lovely breastfeeding ladies on Facebook and Twitter and here is the MilkChic list of things we have done while breastfeeding. I’d love you to add to it! If that wasn’t impressive enough, some of these tasks were performed not just one-handed, but no-handed! Breastfeeding in a sling, or “advanced breastfeeding” (so-called cos I didn’t master it…) makes all sorts of things possible. If you want to give it a try, I am reliably informed that sling choice is important. So far I have been recommended Ergo and Mei Tai slings but there are lots of other options. For a quick guide, this post at Analytical Armadillo explains how breastfeeding works in different slings. I’d love to write a separate post on this, but just don’t have the expertise, so if anyone’s up for a guest post, please get in touch! Social networking – what goes where? 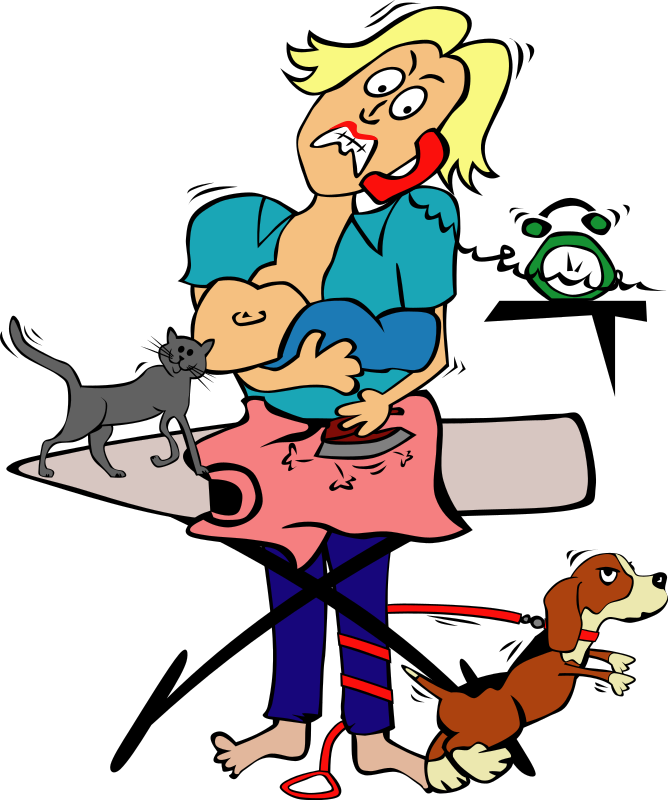 Bittylab: Is your newborn too dependent?? What is breastfeeding really like? Perhaps not a stranger, but their husband or their MIL? I thought that was the main ‘perk’ of FFing? Pushing a cart at the grocery store! My girl, who was sitting in the cart, couldn’t resist pulling down my shirt to latch on. I leaned forward to allow her to rest her head on my chest, and continued to push the cart. Only she and I knew what was really going on. I’ve been 5 pin bowling while nursing my little girl, not just sitting, but actually tossing the ball down the lane with her latched on. I think m cousin was a little horrified but also impressed. lol. Eating a salad outside at a restaurant and talking to the waitress about my baby! @Katie, While working a cash register? Are you your own boss, or can we start awarding medals to most breastfeeding friendly retailer already? Pushing a stroller at the zoo, no sling or wrap, just me holding my 1 year old and pushing the stroller with my body….my friends were impressed! @ShellyC, Brilliant! Impressive upper body strength to feed a one year old while walking!